While the East Coast was being pelted with snow (lots of snow) I awoke to a sunny (albeit cold day) and wanted to stay snuggled up in bed. Alas I had drop my 16-year-old daughter off at an ACT testing site and this got me out of the house early–7:20 a.m.–which feels wrong on a Saturday. After dropping her off I thought I might as well go and pick up a numbered ticket for our library’s monthly book sale. I’ve written about this sale before…let’s just say it’s so good (lots of books in all genres and low prices) that it draws people from a 50-mile radius. And earlier in the week I had looked at some of the sale preview photos, found a few books that might be perfect for my store and had done a little research to find out current resale prices, scarcity, etc. The blue and gold “Utopia” book by Thomas More looks promising. 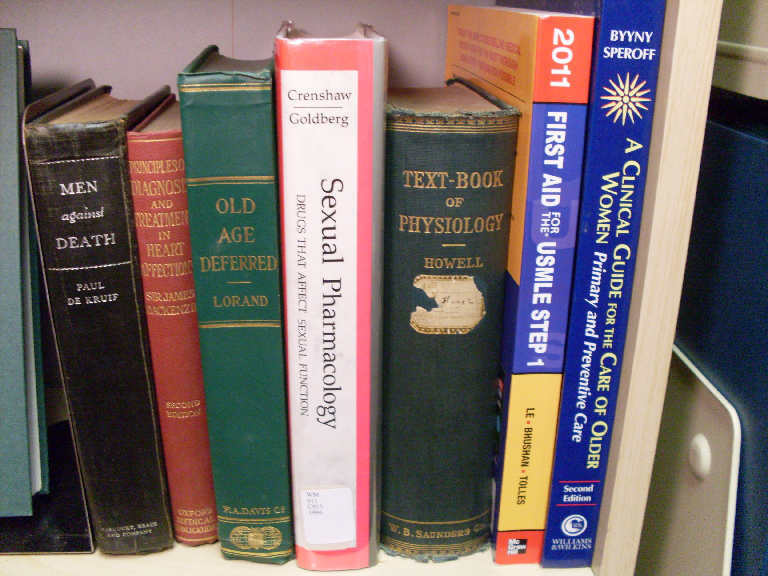 Is it just me or do some of this old medical books sound interesting?! I went home to kill some time before the opening, and at 10:45 I was back and folks were starting to assemble in a queue. Everyone was holding out their ticket and asking “What number are you?” and jostling into place. When I finally got into the building I can only describe the scene as quiet pandemonium. I was in the room within two minutes of the sale opening and some folks already had a pile of books! I high-tailed it over to the philosophy section and my two finds were there (yeah!) 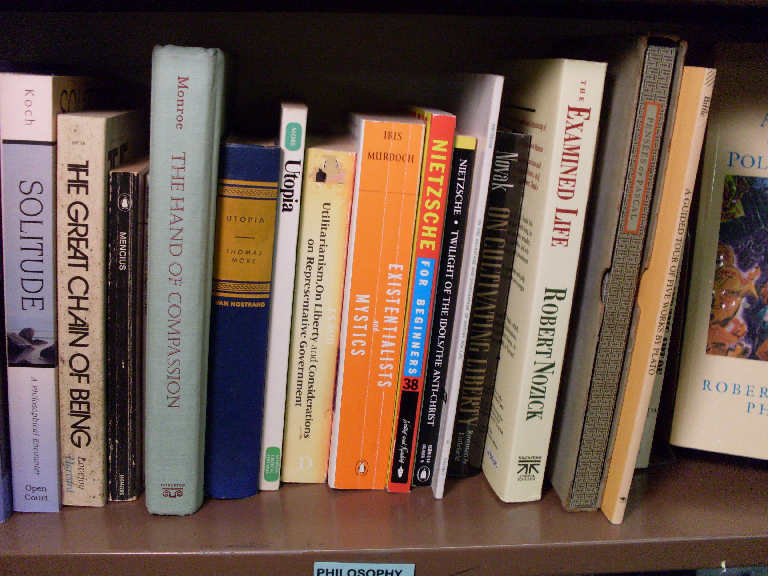 and as I moved over to a different shelf I heard a guy coming down the aisle muttering “philosophy, philosophy” as he looked for the section. I smiled a bit and patted my bag which had the 1929 first edition of “The Mansions of Philosophy” by Will Durant. After that I wandered around and found a couple of vintage poetry books and a cool artist book called “The Awakened Eye” by Frederick Franck. By the time I made it over to the cookbooks (a favorite section of mine), none of the remaining vintage ones intrigued me or were in good enough condition. After 15 minutes, I’d had enough. I checked out with six books. All in all, I came home jazzed…I found a few interesting books for my store, chatted with nice folks while we waited in line and enjoyed being out and about on a sunny winter day. I think all I needed to make it perfect was a cup of Philz coffee while I waited. Next time! !